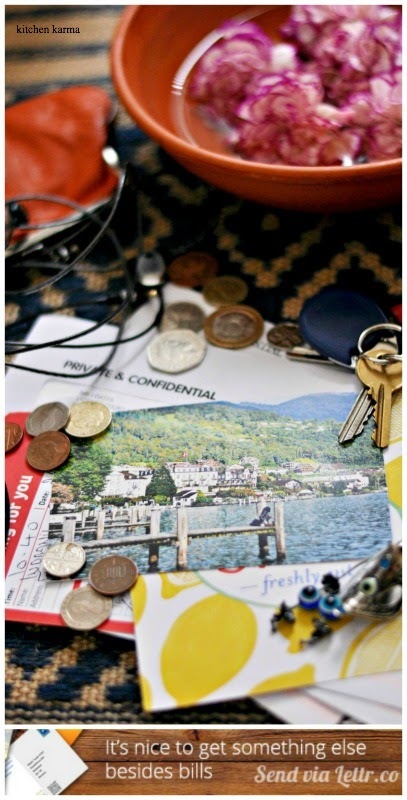 Kitchen Karma: Lettr: A cool new way to send postcards while travelling! The very idea of a holiday makes me smile. Sitting on my desk on a rather dreary Friday morning I think of warm, sun kissed sandy beaches, an azure blue sea, waves gently crashing on the sand and disappearing into a froth, palm trees dotting the shoreline, distant cry of the gulls... and I can almost feel myself relaxing on that beach. With a cocktail or two. Or maybe a beautiful land with stunning snow capped mountains and lakes whose colour changes every hour. How refreshing is it to sit beside such a lake, soaking in all that beauty and watch the world go by. Now that summer's here, well almost, it's time to pack up the bags, tie up those exploring shoes and get going! Don't forget the passport or the sunscreen lotion. Nothing can beat a refreshing and relaxing vacation, can it? Well maybe the promise of another one soon afterwards! So when you go on vacation or go travelling what all do you do? Explore new places? Try out different adventures? Try a new cuisine? Drink like a fish? Party hard? Relax and let go? Join yoga classes? Shop like mad? Take loads of photos? So when Lettr wrote to me introducing their cool new service I was interested. It's a service designed for someone just like me. So what is Lettr? 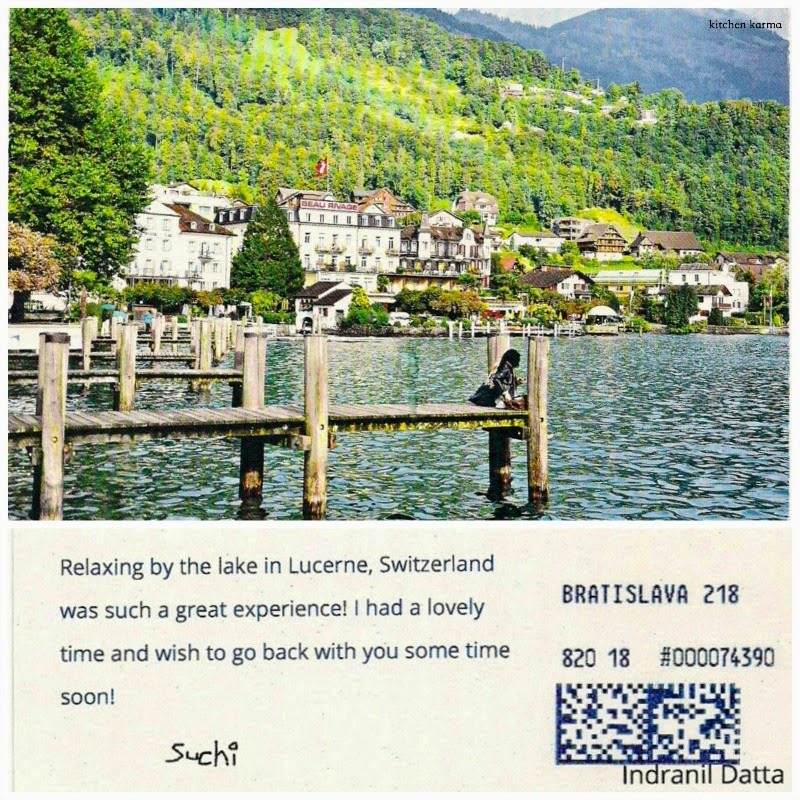 In their own words "It’s the postcard of the 21 century that allows user to send memorable postcard with own photo as easy as sharing it online. And it still keeps that very personal touch of a traditional postcard - sender’s handwritten signature." 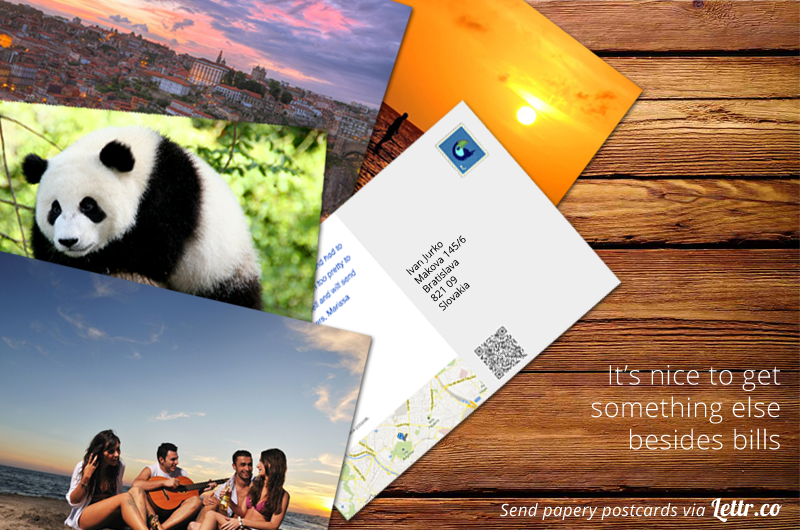 - It allows travelers to send innovated papery postcard from any place in the world. No need having pen, stamp or even postcard. - User takes picture of her/his awesome moment or selects already taken one. It’s going to be outstanding memorable moment, printed on the front side of the postcard. 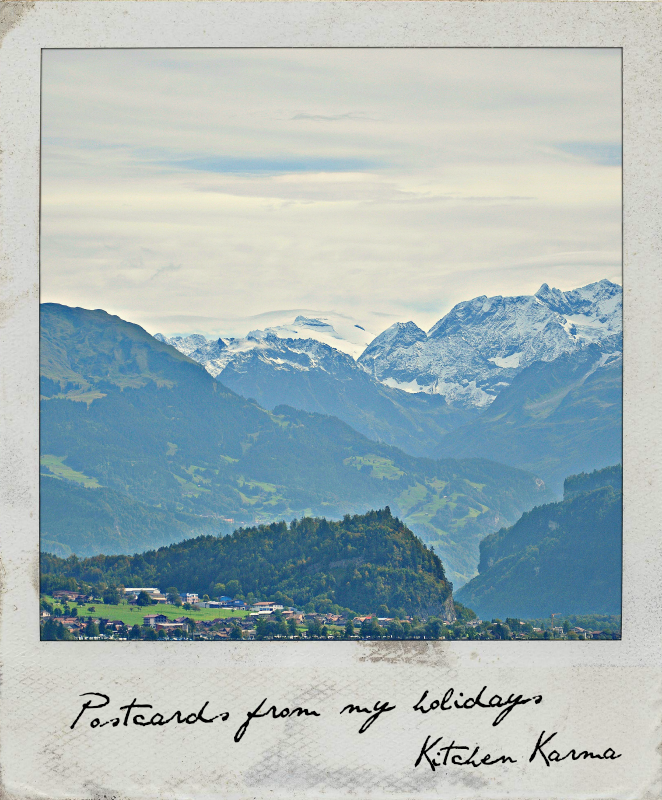 - Sending personalized postcard is that simple. Just a common smartphone/ laptop with internet connection is required. - Lettr delivers printed postcard in the shortest time possible. Delivery time takes usually 2-3 days instead of 2-3 weeks in comparison with traditional post service. It’s sooner than a traveler returns from a trip. Now is'nt this cool? When Lettr asked me to review their service, I promptly sent one to my husband to his office address. He was pleasantly surprised. Getting a post card out of the blue. The postcard reached him within two to three days and I have broken my postcard jinx and finally sent one successfully. So if you want to share a piece of your holiday with your loved ones without going through any of the hassle like trying to communicate with the post mistresses in a small village in the south of France that you would like to send first class, Lettr is the service for you. Also cost wise, if you compare the price of buying a postcard and a stamp plus all that effort, it is not that much more. Go on travelling folks, give it a try and make someone smile today. Disclaimer: All the photos used in this post are mine. The Lettr posters are property of Lettr. That is something new and exciting..